Many New Jerseyans, who are still displaced from superstorm Sandy, have received letters from FEMA telling them to get out their checkbooks because the agency gave them too much disaster aid. ‘It’s like Santa giving you gifts for Christmas, and then in February, sending you a bill.’ Catherine Tango, displaced by Sandy. 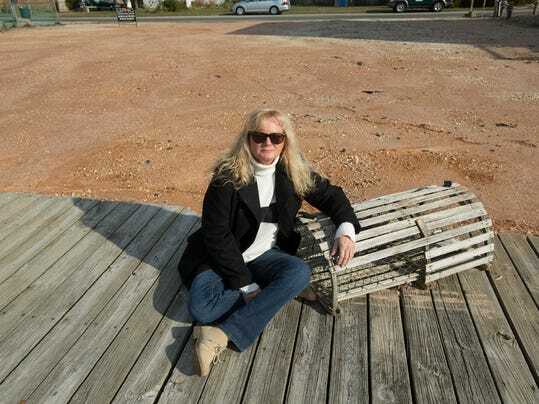 TOMS RIVER – When Catherine Tango opened the letter from the Federal Emergency Management Agency in late October, she began to panic. Homeless after the storm flooded the Ortley Beach condominium she was renting, Tango, 61, relied on FEMA for assistance to pay her rent and living expenses at an apartment she rented in Howell. But the letter she received in late October demanded repayment of $15,500 — and threatened to garnish her monthly Social Security disability check if she doesn’t pay it back. FEMA says 1,200 New Jerseyans have opened what the government refers to as a recoupment letter. The disaster-response agency is seeking $8 million in repayment from people it now says shouldn’t have received that money in the first place. Sound off in the comments: Should superstorm Sandy victims have to pay back FEMA if the agency gave them more disaster aid than it turns out they were eligible for? Such a letter was addressed to Jill Svelling Belloff’s Forked River rental home, not the lonely mailbox that fronts the empty dirt lot on Bonita Road in Waretown where her Sandy-soaked home once was, and where a new house will someday stand. FEMA couldn’t have known to what degree it was piling on — the demand letter arrived just a couple of weeks before her husband underwent open-heart surgery — but they were just the same. A FEMA spokesman told the Asbury Park Press in a statement that the agency had provided $1.4 billion in assistance to nearly 183,000 Sandy survivors. FEMA routinely audits disaster assistance payments and, as of Oct. 31, just 2 percent — about 3,600 individuals or families — of those survivors had received recoupment letters, seeking payback for a combined $23 million that FEMA says never should have been paid out. “Unfortunately, whether through fraud, human or accounting errors, or other reasons, assistance sometimes goes to individuals who are not eligible,” the statement reads. After Hurricane Katrina, 14.5 percent of funds were “improperly disbursed,” according to FEMA, which sparked an overhaul of the rules meant to protect against waste, fraud and abuse. FEMA’s governmental watchdog has been empowered by a surge in funding thanks to a Congress that puts a high priority on a slimmer national deficit and debt, said Ernie Abbott, a former top lawyer for FEMA during the Clinton administration who now represents municipalities in post-disaster negotiations with the agency. Starting in the spring, the inspector general’s office began advising FEMA to clawback millions from Shore townsthat couldn’t prove they had used the money in a sanctioned way or that they had simply been overpaid. FEMA, which is a part of the homeland security department, has since reversed course on at least one town. Recipients of these letters have a few options, including paying the entire amount, setting up a payment plan, seeking a hardship reduction or disputing the debt through the appeals process. Simply ignoring the letters will result in a referral to the U.S. Department of Treasury for collection. Sue Marticek, executive director of the Ocean County Long-Term Recovery Group, said providing FEMA with proper documentation is key for residents who have received a recoupment letter. Tango, now living in Holiday City at Silverton in Toms River, has filed an appeal and asked for a hearing with FEMA. She is perplexed by the demand to repay $15,500, since her records indicate she received $11,799 from the agency. A paralegal who is on disability because of severe arthritis in her legs and herniated discs in her spine, Tango receives $1,154 monthly in disability payments from Social Security. She also works two days a week at the Ortley Beach A&P, earning an additional $85 per week. FEMA’s letter claims there is no proof that Tango actually lived in the Candlelight Condominiums on Route 35, even though she has a lease and rent receipts to prove it. Tango said she moved into the condominium in late August 2012, and stayed there until she left shortly before Sandy struck. The condominium building, badly flooded by Sandy, was recently demolished. She fears that if her appeal is not successful, she will be homeless again. Currently she pays $950 a month to rent a home in Holiday City that she shares with her Maltese dog, Prince. Because her income is so low, she receives food stamp benefits and also goes to local food banks to help get enough to eat for the month. “It’s like Santa giving you gifts for Christmas, and then in February, sending you a bill,” Tango said of FEMA’s recoupment process. Svelling Belloff, a self-employed artist, said FEMA told her the $1,500 per month she was paying for the three-bedroom was too much. As a result, the agency wants her to send back $2,452. • Read the letter. It contains detailed instructions on how to get specific information from FEMA on why it is seeking payback, as well how to appeal or settle the debt. Each letter is stamped with a date, and you have 60 days from that day to appeal the alleged debt. Interest begins accruing after 30 days. • If you question the legitimacy of the debt, Flanigan suggests you ask for your FEMA file right away because it can take weeks for the agency to respond. Contact Legal Services at 888-576-5529 or www.lsnjlawhotline.org/HurricaneSandy/ for free assistance with the exacting wording of the FEMA file request. Your file will have copies of everything FEMA has sent to you or received from you, and can be instrumental in proving that they overlooked a rent receipt or misidentified some other piece of paperwork. • In the interim, you should gather all the FEMA paperwork you have. It’s possible that you already have the debt-exonerating evidence in hand. • If you think you may indeed have received more from FEMA than you should have, you can apply for a hardship waiver or ask them to compromise on the debt. • If you want to get a jump on any final debt finding and you can afford to pay anything now, you may choose enter into a payment plan with FEMA. If it is later determined that the debt claim was totally false or too high, FEMA is compelled to return all the money you overpaid them, plus interest. • You can go through the recoupment process without a lawyer, but Legal Services does provide free counsel for just this sort of thing. They can be reached at 888-576-5529 or www.lsnjlawhotline.org/HurricaneSandy. Legal Services will be hosting a 2-hour free clinic for Sandy survivors at 6 p.m., Dec. 2 at the Affordable Housing Alliance’s Housing Recovery and Resource Center in Highlands, 171 1st Ave., and another at 10:30 a.m. on Dec. 6 at the Long Branch Concordance, second floor of the St. James Church, 300 Broadway, Long Branch.